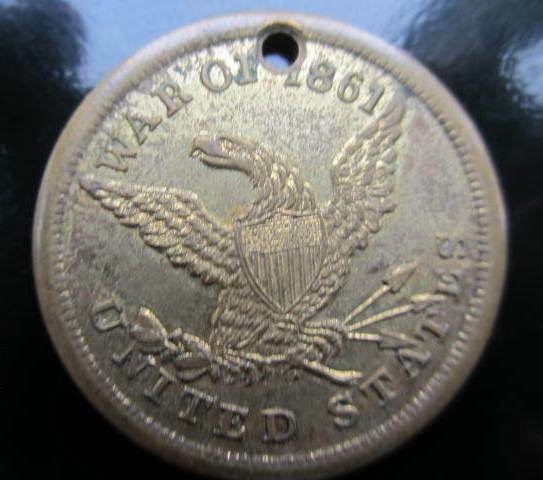 I had an interest in the the Civil War since the mid 1960's, but began collecting in 1985 as a sword collector. I collected edged weapons for about 5 years when I purchased an inscribed sword belonging to an officer of the 69th NYSM. At that point I began my passion of researching the personal stories of the men who fought in the Civil War. My collection centers on men who were Irish or of Irish heritage, but my collection ranges far beyond the men of Erin's Isle. The secondary emphasis of the collection is on the men who fought at Fredericksburg in December of 1862. 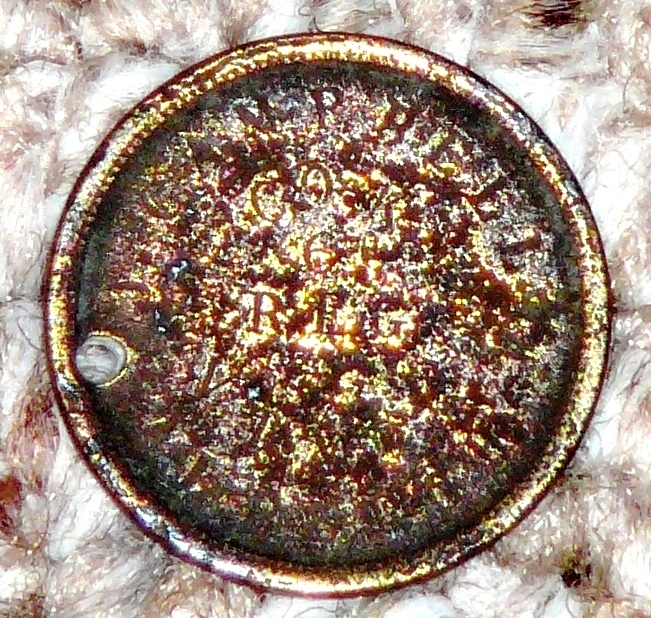 Document tube belonging to Friend Barney, 5th Vermont. 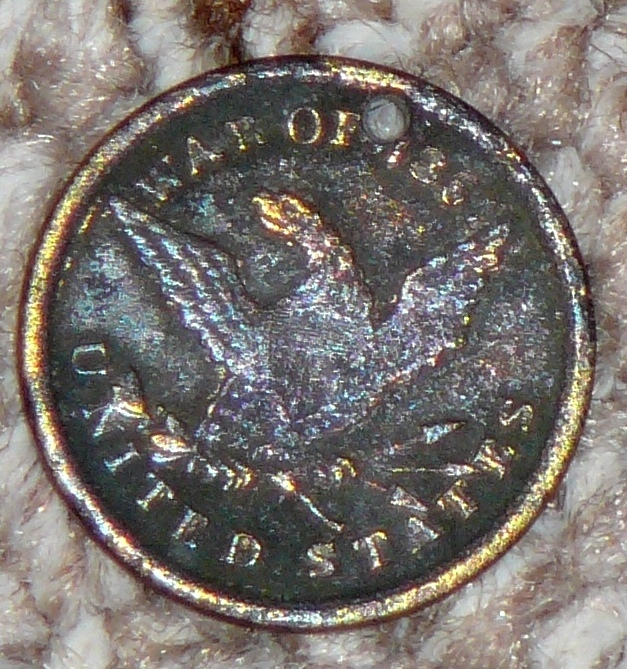 Fife marked "5 Vt. INF." 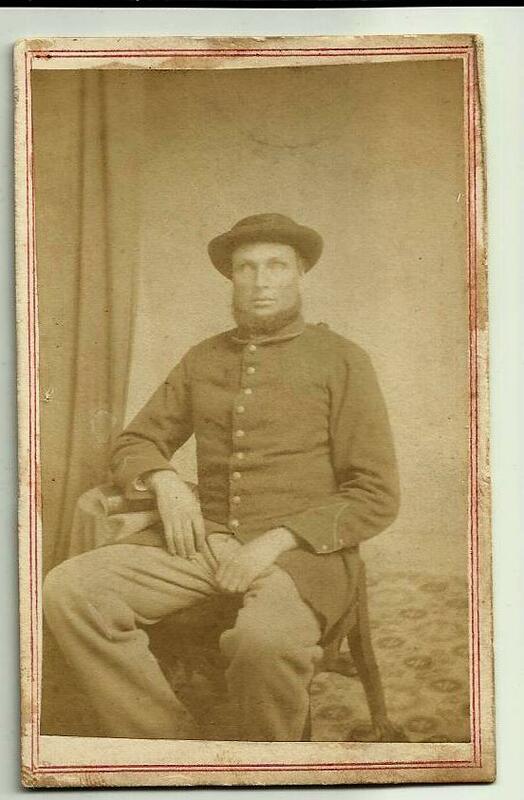 Carte-de-visite of Otis Snow, 3rd Vermont. 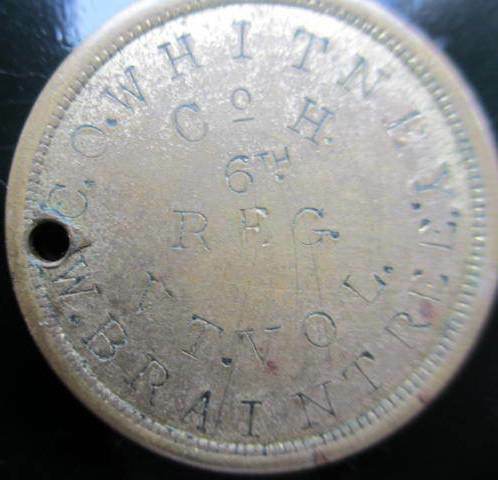 This was the identification device of John Campbell who served in Company K of the 6th Vermont. The 6th Vermont took nearly 200 casualties during the Wilderness... almost half of the regiment's men who were engaged. Campbell came through that fighting and managed to survive Upton's Charge on September 10th at Spotsylvania's Mule Shoe Salient. 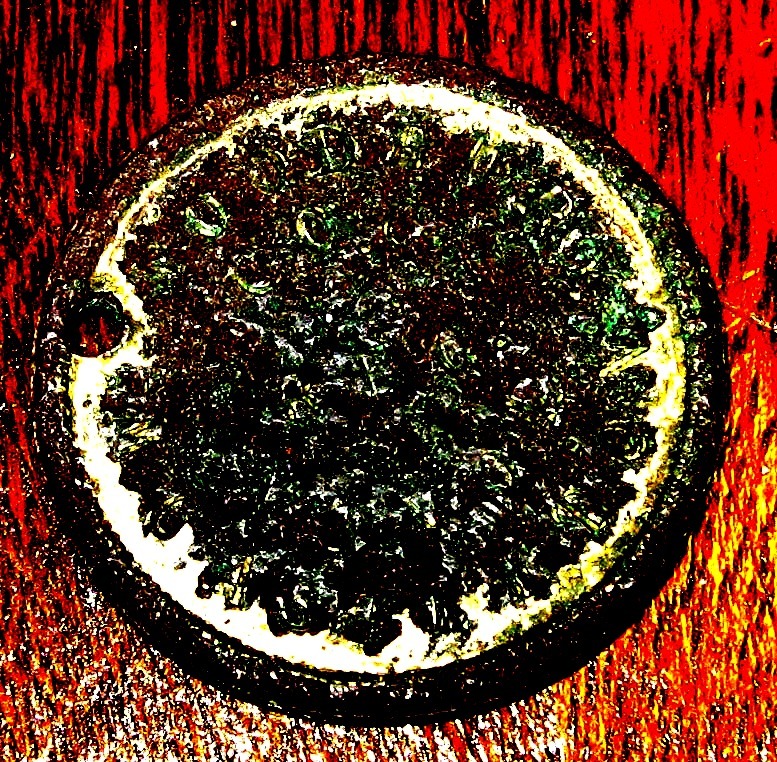 The Sixth was in the thick of things at The Bloody Angle just two days later on the 12th of May. Three days after the fighting at The Angle, the Sixth numbers had fallen to fewer than 250 men in the ranks, but they were rejoined by 150 men of their regiment.from Vermont. That would not help Campbell. He would be killed in the fighting at Spotsylvania on the 18th of May. Another member of the Vermont Brigade, Earl P. Carney was a private in the 5th Vermont's Company E. His regiment took fewer than 400 men into Savage Station and they lost 188 officers and soldiers in less than 30 minutes in that battle. His company lost 44 of the 59 men that went into battle that day. One of the casualties was Carney himself. He was wounded and taken prisoner. Company E lost the 5 Cummings brothers and their cousin as well at Savage Station. 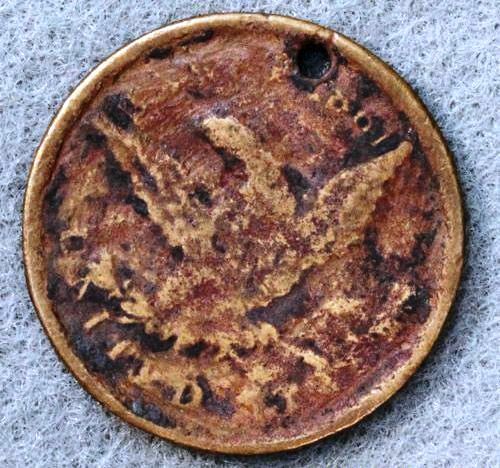 This disc was dug (or picked up) across the river from Fredericksburg, VA. 75 wounded men (and 3 sick soldiers) of the Fifth were left on the field and taken prisoner. Carney was paroled 26 days after being wounded. He was discharged 15 January, 1863 and died and was buried in Dorset, Vermont's St. Jerome Cemetery 11/01/1873. 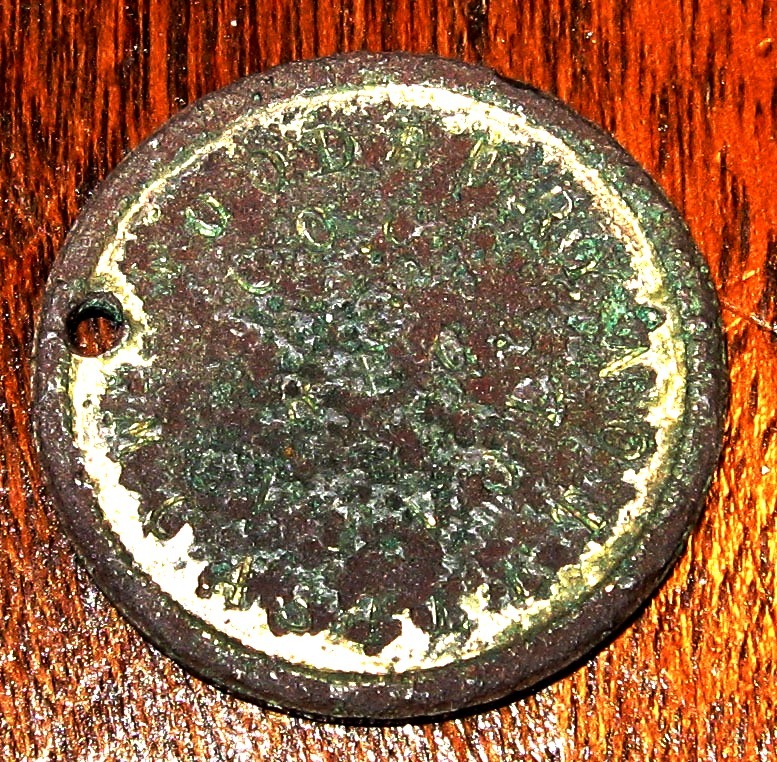 This disc was recovered in Stafford County, Virginia on private property. 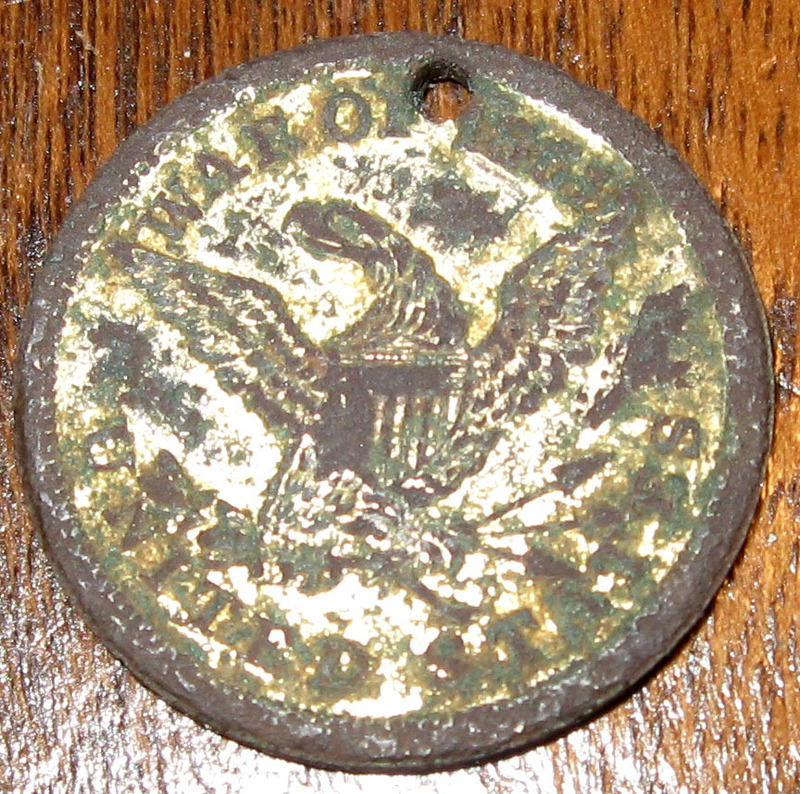 Identification disc belonging to Cyrus O. Whitney, 6th Vermont. 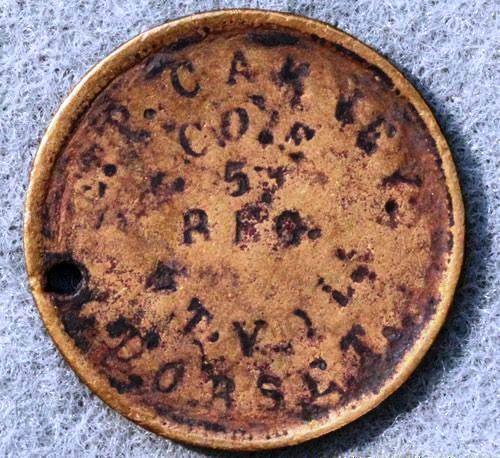 This shows three views of the ID disc of William Woodbury, 2nd VT. William Woodbury from Castleton, Vermont lost this disc while on the Penninsula in 1862. Although badly corroded, his information is still readable. The 2nd Vermont had 77 men listed as casualties at Savage Station on June 29th with minor losses the following day at White Oak Swamp. Woodbury was born 23 October, 1840 in Whittendon, VT. He was a farmer when he enlisted on 6 October, 1861. He was 5'4.5 tall & had hazel eyes with a light complexion and light hair. He was wounded in the lower portion of the right leg between May 4th & 6th in the Fredericksburg/Chancellorsville area. Woodbury passed away in Castleton on 21 July, 1922.